As a busy bee who runs a client-based business, you sometimes get too occupied with everything that it becomes problematic to track down all your appointments. And, when you miss one of them, you’re only going to lose the precious moment of meeting your client and practically, it also means that you are losing money. The same thing can be said on your client’s side. If your client misses an appointment, they lose the chance of meeting you to avail your services. Sure, they can always set another appointment with you. But time won’t always be on their side. There’s no assurance that they can set up another time and date that will be of convenience to them, given that you have other clients with whom you have appointments too. They’ve already lost their chance and now they are going to experience the repercussions. So to save both you and your client, you need a tool that will help your client to remember such important meetings. And to answer that call for help, appointment cards spring into action. 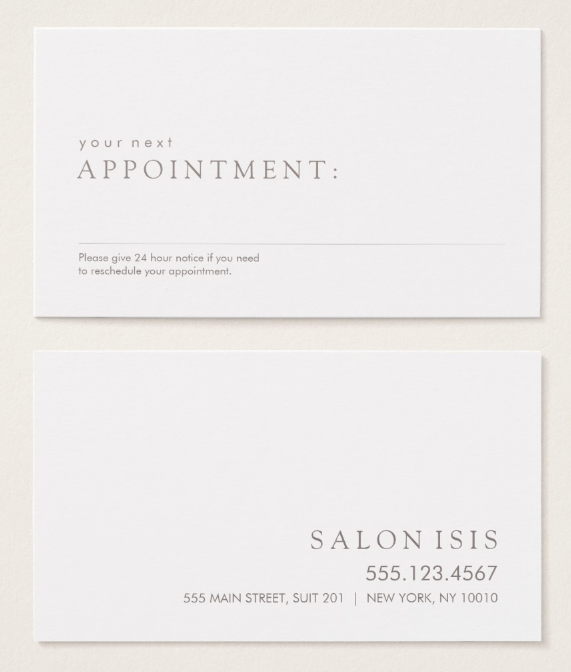 Appointment cards are normally given to clients to act as reminders. 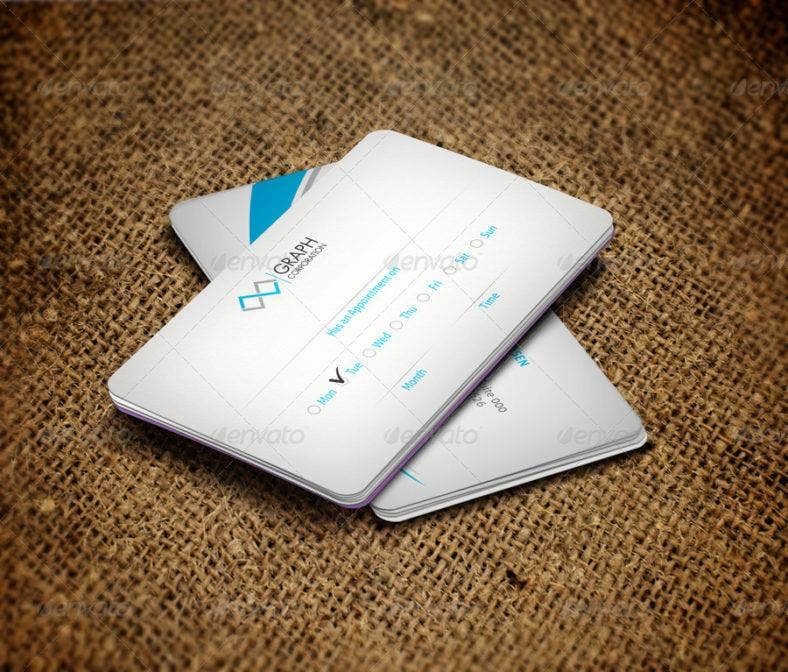 These cards are a hybrid of business cards and reminder cards. Your information, like your name, address, and contact details are shown on the front side of the card. At the back of it contains blank fields that your clients need to fill out, like your name and the date and time of the appointment. 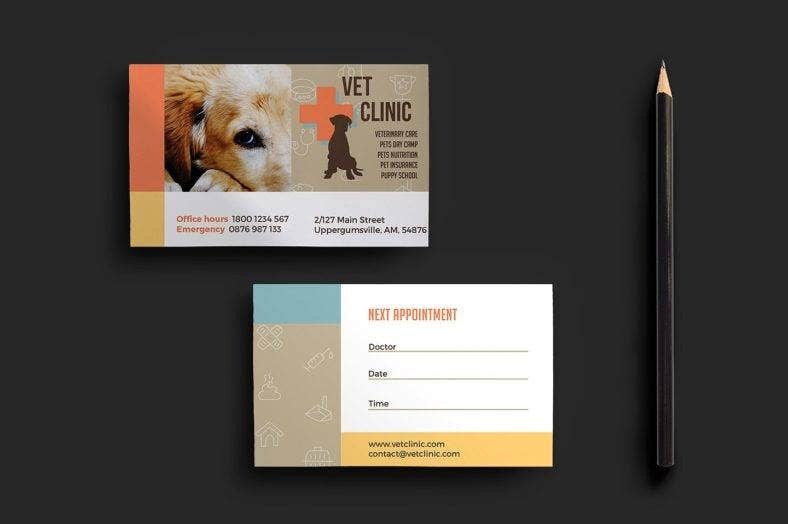 For the appointment card to work, you need to orient your clients first that they should keep it and place it where it can be easily seen so they would be constantly reminded. 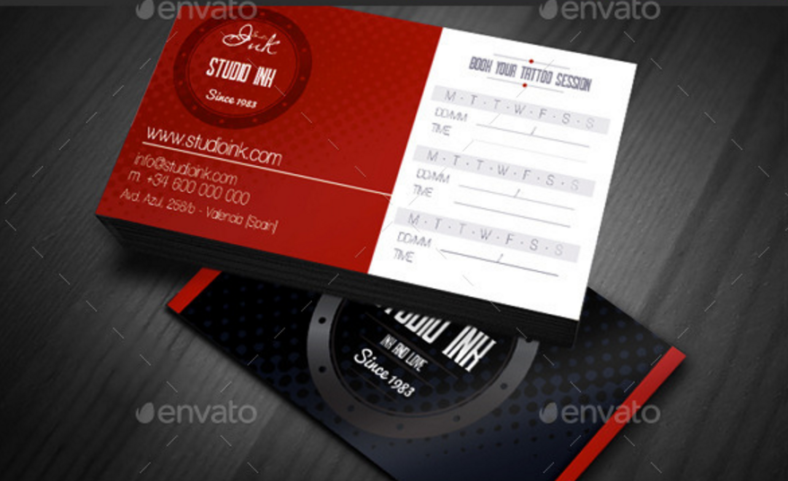 And to make your appointment card more memorable, you need a striking design for it. 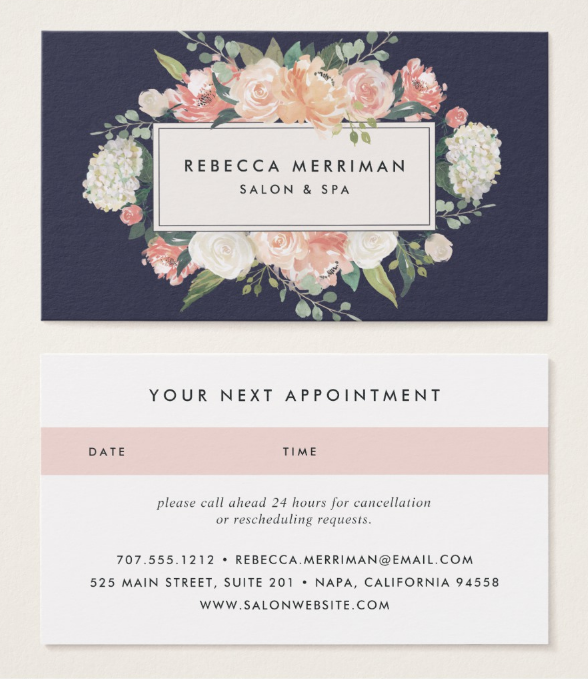 Luckily, we already have a list of creative designs that are perfect for your appointment cards. But before we show you the list, let us first delve into discussing the significance of an appointment card and how it will help both you and your client. How important is an appointment card? Appointments are not set up just for the sake of it. It’s not a mere casual meeting that someone can come late to and miss on. Setting an appointment means having to discuss business or to talk about important matters. A client missing an appointment means wasting your invaluable time, money, and effort that a busy person such as yourself has spared despite having a hectic schedule. Unless a valid reason was given beforehand, it would make your client look unprofessional. 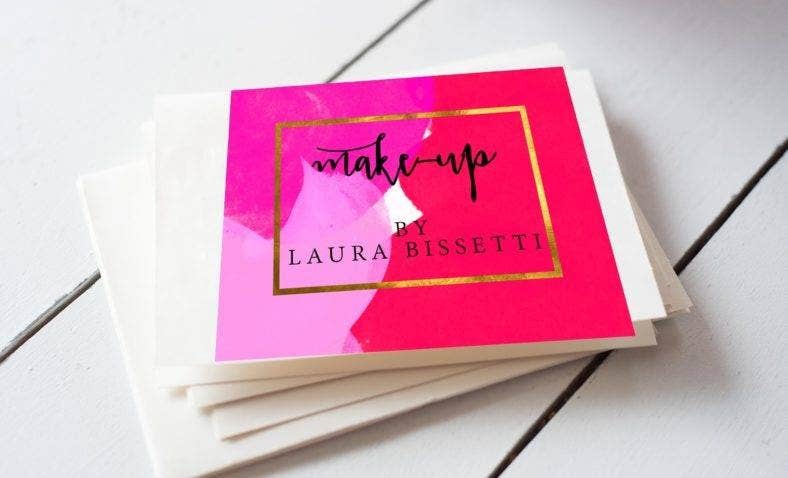 Give your clients an appointment card to let them know that having one will save themselves from embarrassment as well as from wasting your time and effort. The following will explain the two major reasons why an appointment card is important. An appointment card contains useful information. 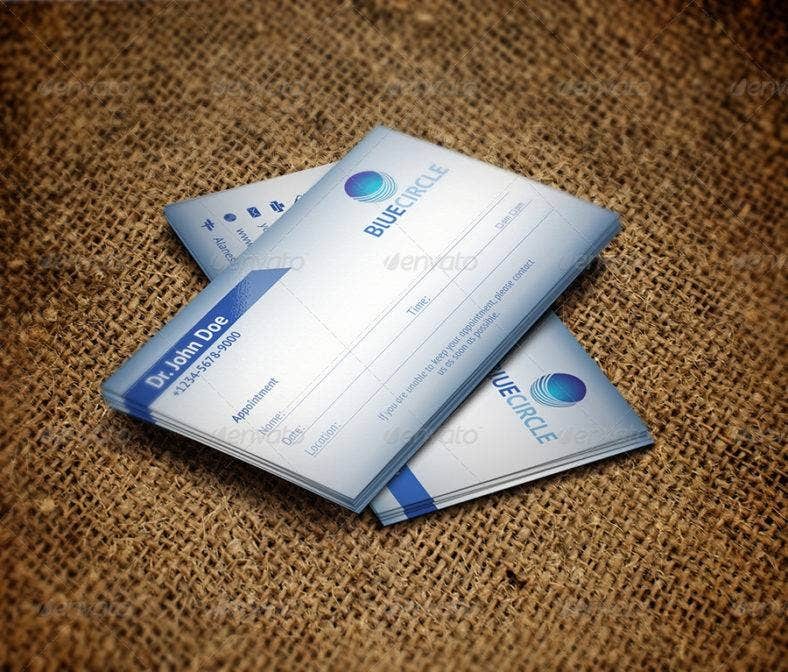 Just like what we said in the introduction, an appointment card is partly a business card. It contains your information, like your name, profession, clinic or office address, email, phone number, social media handles, and a website (if you have one). You should also include the operating hours of your clinic or office so your clients will know what time they can set to meet up with you and adjust their schedule accordingly. With all these information bundled up in a small card, your clients will know who to call to make an appointment or cancel one, in case they have an urgent matter to attend to or they simply can’t go due to some reason. And since you have included your office or clinic address, your clients will know where to go for their appointment and who they will be seeing and talking to. Also, even though they didn’t set an appointment, they would know who to contact or where to go to in case of emergency situations. 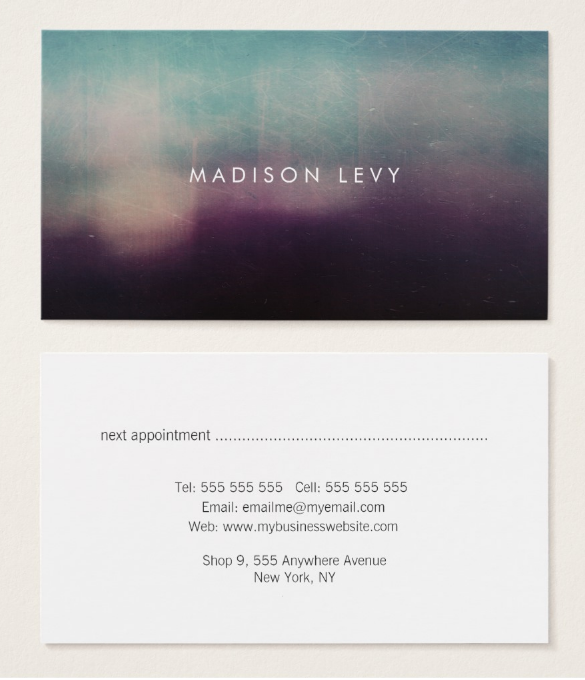 An appointment card helps clients remember appointments. 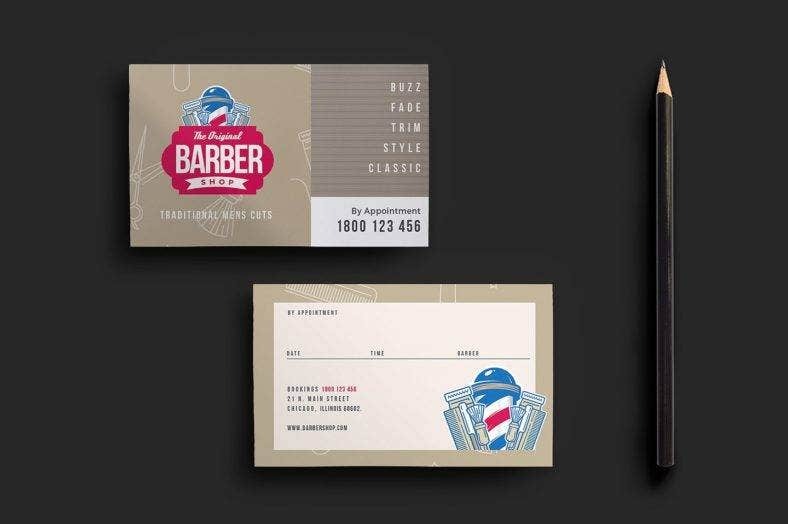 As what we said, an appointment card is partly a business card, and the other half of it is that of a reminder card. The other side of the card contains blank fields that your clients need to fill out. The fields are for your name and the time and date of the appointment. This information will clear up any confusion that your client has regarding the appointment with you that they scheduled. 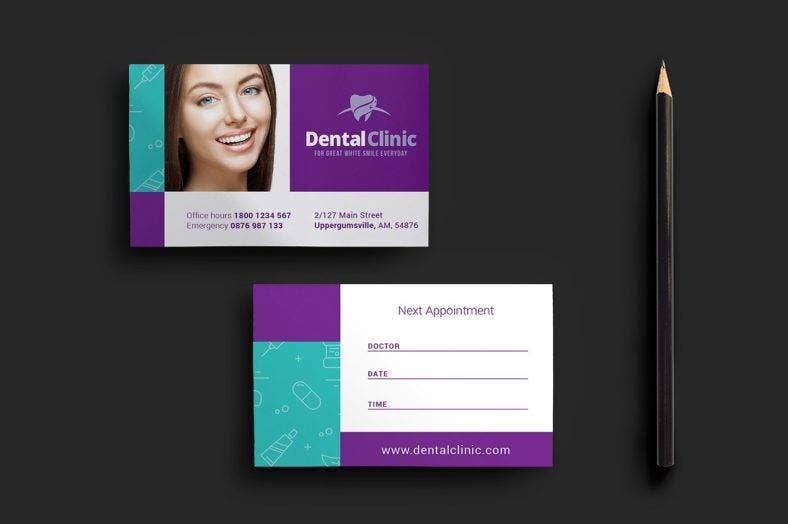 Since an appointment card has about the same size as a business card, your clients can put it in their wallets so they can carry it around and be reminded of the appointment every time they open their wallet. Or, they could place it somewhere it could be easily seen, say sticking it on the refrigerator, at your bedroom’s mirror, or even at your computer monitor or laptop screen. When you give them your appointment card, always remind them to keep it safe to avoid missing out on the appointment. It will both be your loss if it happens. 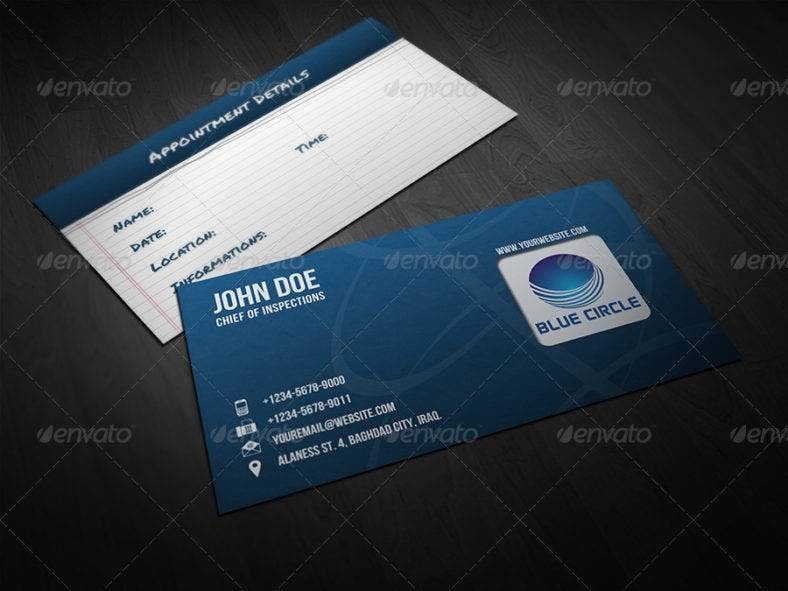 Creating an appointment card usually requires a graphic designer to ensure that the card’s design will be of standard quality. Doing this makes sure that you won’t be subjected to criticisms about your appointment card. But since not everyone can afford a graphic designer, the designers themselves have personally decided to make their creations go public. This way, they can milk out more money from just a single design. That’s why there are sites like Creative Market and Graphic River that allows graphic designers to post their work online and make a profit out of it. But there are more to these templates than just being accessible. 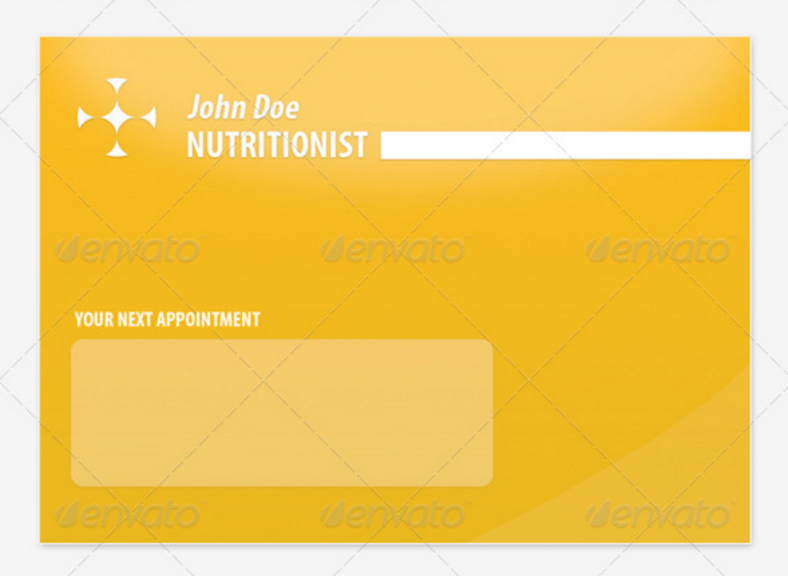 Read on to know about the reasons why should use an appointment card template to make one for yourself. They are stunningly beautiful. We don’t settle for less. We always aim for the best. The designs that we have gathered all have unique and outstanding designs that were skillfully created by talented graphic artists. When we choose a template for our list, we always take into consideration the impact of the design. Does it give you a fun vibe? Does it look sophisticated? Is it the most aesthetically-pleasing design? We always go for the looks we know people will unquestionably like and have a personal connection with. We do our best to find templates that will present your personality and character the most. They are editable. Graphic designers already make more money by just posting their work online and have customers pay to be able to download a template. And as thoughtful as they are, they decided to let the customers partake in the designing and let them put their personal touch on it. So that’s why the templates that you have seen and will see as the list goes on are all editable. After you have purchased a template, you can open it using a photo editing software program (online or offline) and make the changes that you want to the design of that certain template. You can choose to change the overall look or just make some minor adjustments and enhancements that will suit your taste. They create a personal approach. We have already said that you can put your personal touch to a template’s design since it is fully editable. 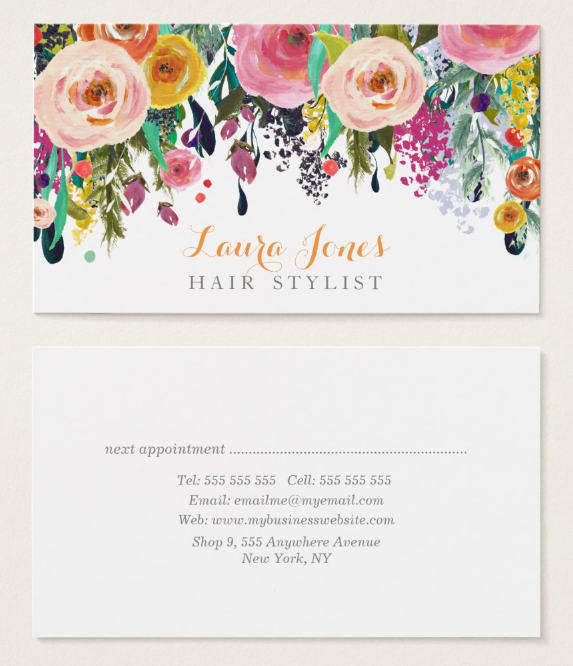 That said, the personalized design creates a personal approach once you hand out an appointment card to your client. The design that you have created or modified from the original template will reflect your character and personality. Also, your client will have an idea of what your style really is, and from the aesthetics, your client will know your creative side. So every time they see your appointment card, they will remember how dedicated you are to everything that you do. It makes your clients feel more connected to you since you gave them a glimpse of yourself. They are affordable and worth the money. 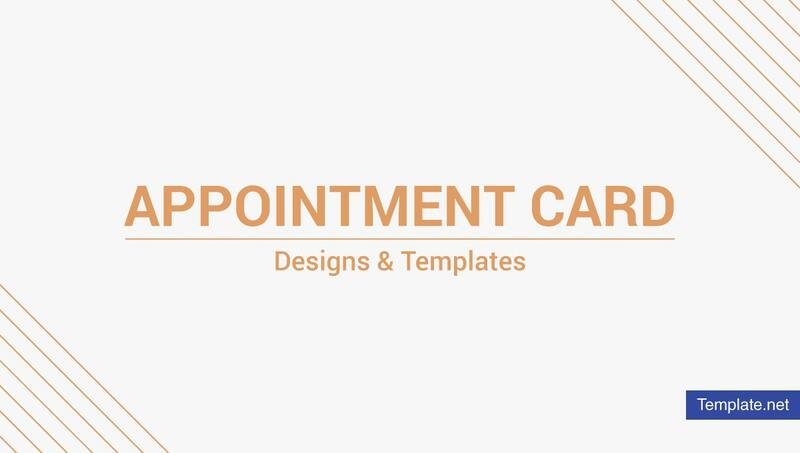 The appointment card templates that we have provided are all premium and they are all from legitimate sites that provide high-quality templates. Since the word ‘premium’ is always associated with being expensive, you will often hesitate to look for premium templates. 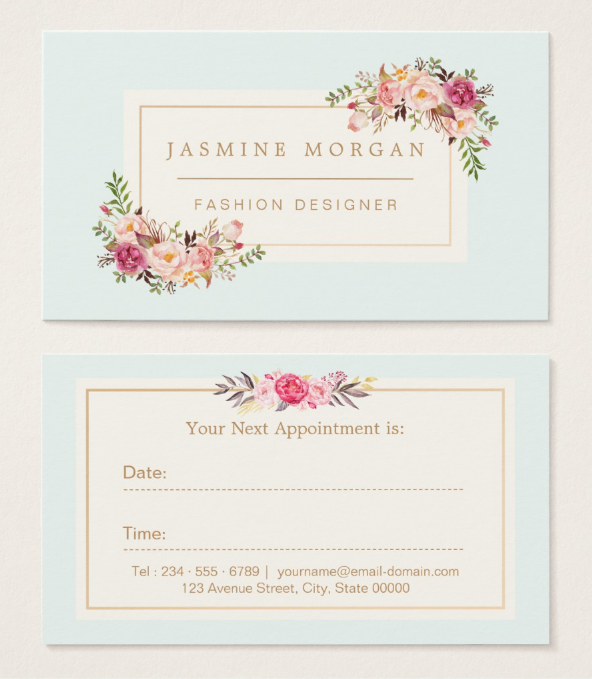 But that common misconception will only hinder you to discover a lot of impressive designs for an appointment card. If you look hard enough, you will eventually find a cheap (money-wise) template with an amazing design. Also, even if you can’t find one cheap enough to fit within your budget, remember that some of these templates are priced as such because the designers have put all their heart and effort into making them. Designing is never easy; it takes a great amount of dedication and labor to create one. And even if some of them are pricey, they are still worth the money because you can reuse a single template as many times as you want. You pay for one template but you can create more than a handful of modified designs from them. It’s all about how you go over a difficult situation, especially when the situation is about finances. They are handy. An appointment card has about the same size as a business card. Your clients can put it in their wallets and bring it around. So every time they open their wallets, they will be reminded of the appointment that they have with you. And as for yourself, you can bring a few of this card in case you need to hand out one. There are operations that could possibly be done outside your clinic or office, so you need to be ready and have a few appointment cards in your arsenal. You can even put some in your pockets if you don’t feel like putting them in a pouch or in a bag. 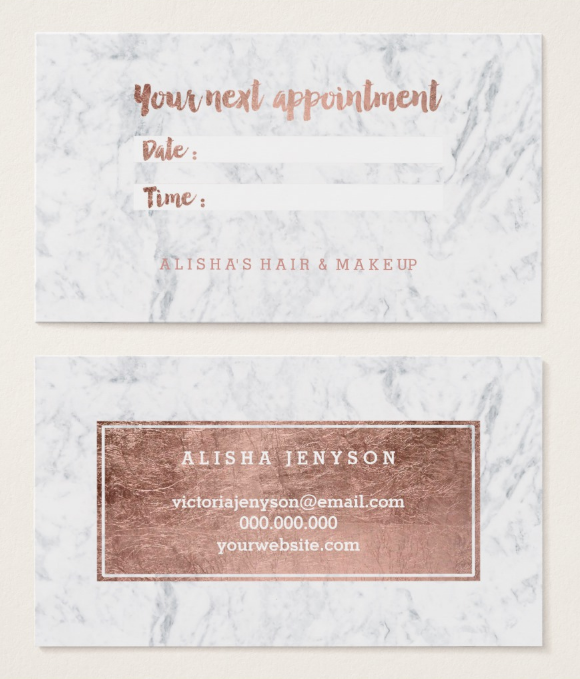 Appointment cards are essential tools that you can use to constantly remind your clients about your appointment with them. 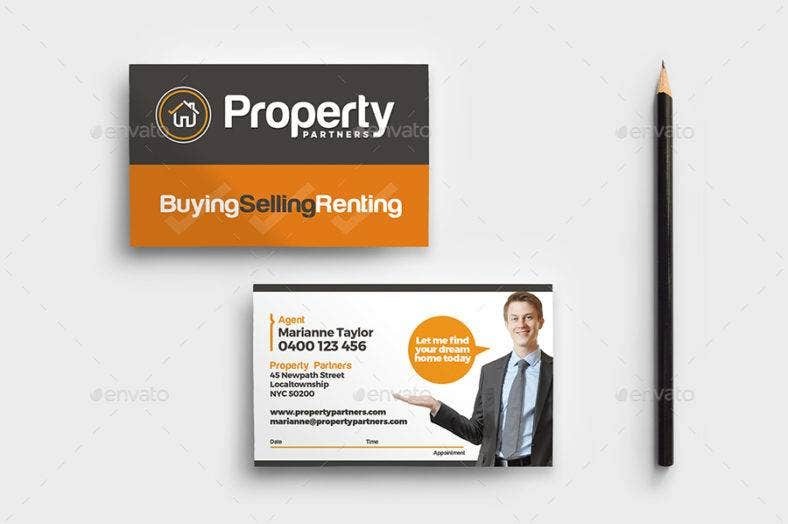 It can be used as a business card as well, so you get a 2-in-1 deal when you purchase and download one. And as with other cards, choose the template with the design that best represents your identity as a professional and as a person. 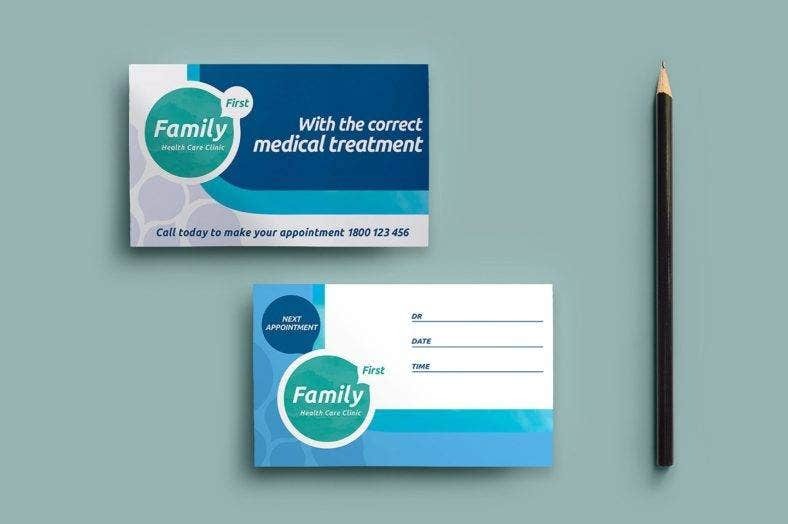 Your appointment cards need to show your brand identity. This is, after all, a business. You need your card to be presentable as it is informative. 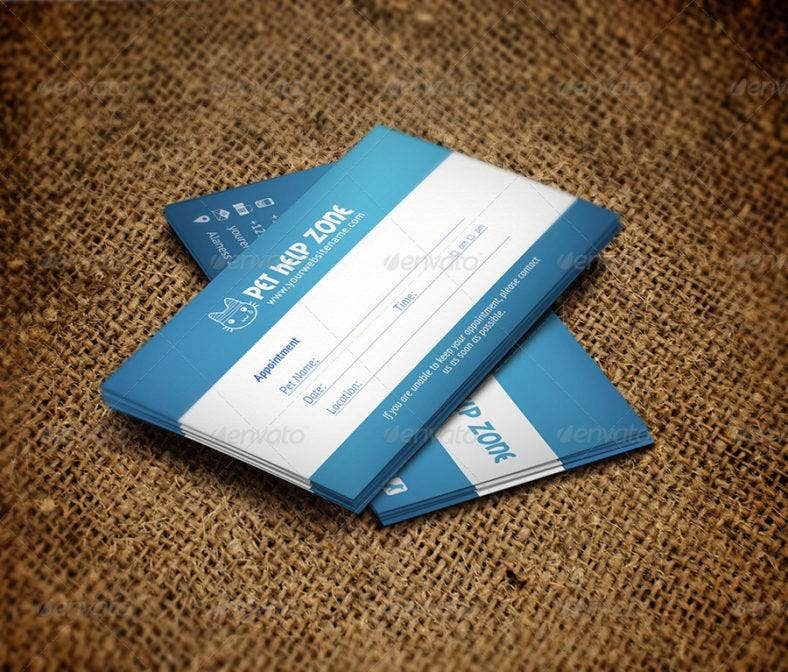 Choose one now and get started on printing your appointment cards so you can hand them out to your clients. Good luck!